I am so sorry that it took so long to get this post out. 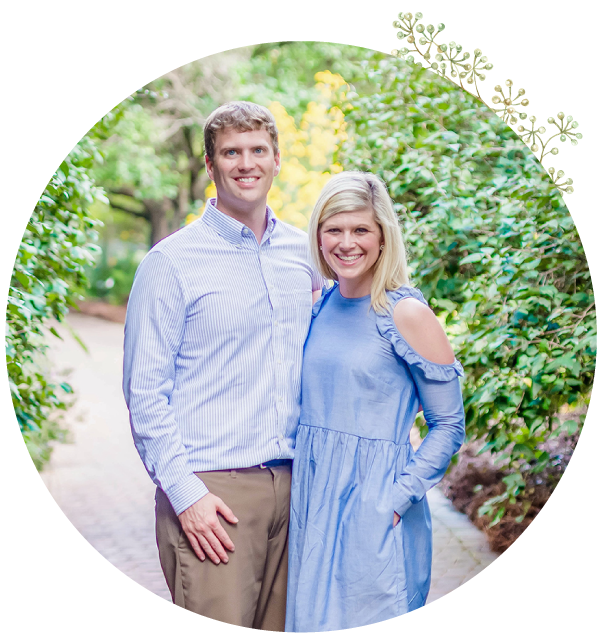 Its been a bit of a whirlwind around here with recent vacations and parties and events that have been going on. Sweet baby Audrey is now 9 months old and I just ran out of my freezer stock of milk 2 days before she turned 9 months. We’ve now introduced formula and she’s tolerating it well. She was a little resistant to it at first but she’s doing great now! Just to recap, I exclusively pumped from the day I brought my baby home from the hospital until she was 5 months old. I was hoping to make it a little longer and to have enough milk stored to make it to at least 11 months when I could start introducing whole milk instead of formula. It didn’t quite last that long but I am still extremely proud of the fact that my baby received only breast milk for the first 9 months of her life and we will only have to buy formula for about 3. 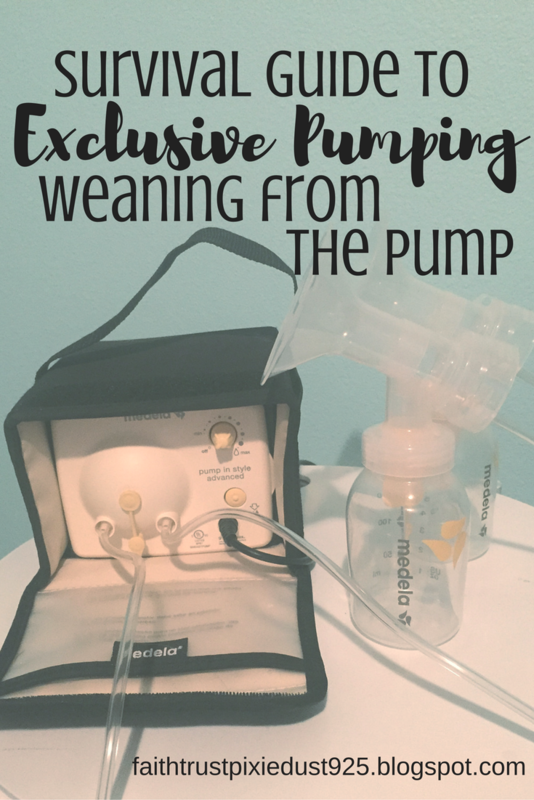 Read about my journey with exclusive pumping for more details and some tips/tricks on pumping and storing milk. So how did I wean? I think weaning intimidated me more than pumping did. Before Audrey was ever born I had an idea of what type of pumping schedule I wanted to start with. I had read all kinds of different posts about increasing supply, preventing mastitis, etc. I sort of had a game plan. I did not have a game plan when it came to weaning. But I did my research and came up with one and I will share it with you today. Around 4.5 months I was down to pumping 3 times/day and making about 30 oz/day. This was still a little more than she was taking in so I was freezing 1 bag of milk each night. The first thing I did when I started to wean was decrease the amount of time I was pumping during my middle of the day session. I wanted to cut this one out first because I didn’t want to worry about having to pump while at work any more. I cut the time pumped for the middle of the day session down to about 10 minutes, then 5, until I saw a drop in the amount of milk produced. This only took a few days and then I dropped this session all together. Then I did the exact same thing with the nighttime session. I loathed this session. All I wanted to do after a long day was lay in my bed and crash. So this one was definitely the next to go. I would rather get up a little bit earlier than have to pump before bedtime. It only took about 4 days before I was only making about 4 oz at night. The next night I dropped it completely. You have no idea how good it felt to come home from work the next day and not have to pump! Finally, there was an end in sight! Down to just one session per day. As I was trying to drop the other sessions and shortening time pumped I noticed my overall supply dropping (even for my morning session). So it didn’t take but a few days to be able to drop this one too. I was intending on going a little longer pumping just once a day but one morning I woke up and didn’t feel like I needed to. I didn’t feel like I had much milk so I just skipped it. I thought if i wake up tomorrow morning feeling uncomfortable I’ll pump then. Well I didn’t feel like I needed to the next day either. After about 4 days of not pumping I did start to feel a few knots and a little uncomfortable. I decided to ice them and pump about an ounce off, which made me feel much better. That was the last time I used a pump! It was so incredibly freeing to not have to pump any more! It did make me a little sad once we were only using our freezer stock. It didn’t take me long to realize that it goes much faster than you think. – Wear sports bras. I was weirdly excited about wearing sports bras again. Wearing restrictive bras or binding your breasts prevents milk from leaving the ducts and sends a message to your body that no more milk is needed. – Ice. Using ice packs or a pack of frozen peas helps to restrict milk flow as well. – Benadryl. For some reason benadryl decreases your supply. Try taking one before bedtime. You’ll get a good night’s sleep and it will help drop your supply! I truly hope this is helpful to you as you are trying to wean from the pump (or from nursing) and would love to hear if any of these methods worked for you! Good luck and happy weaning! The freedom you will soon feel will be incredible!